Today and yesterday were incredibly long and busy days for me. The last thing I would have wanted to do was housework or decorating the house for Christmas. You know what? Today’s thank you is to my lovely husband who made sure the house was neat and tidy, the candles are in the windows, various candles and knick-knacks of the holiday variety are perched on shelves and tables around the living and dining rooms. 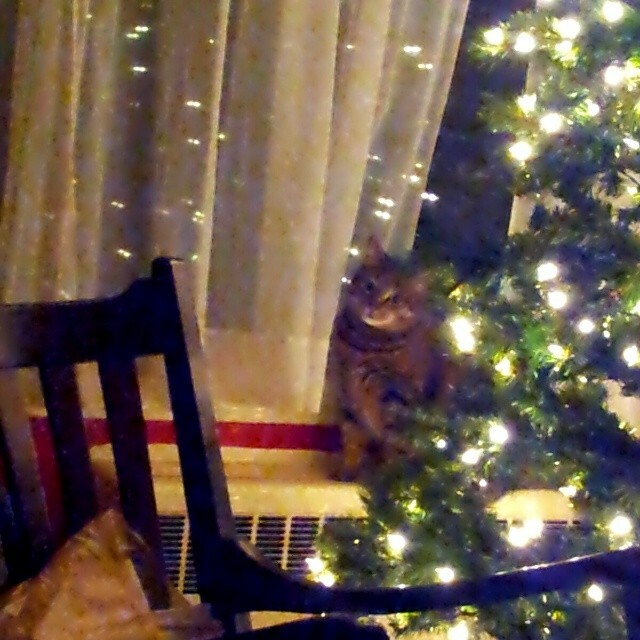 And, as you can see from the picture, our Christmas tree is up and being enjoyed by at least one of our cats.